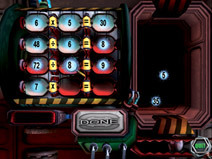 Downloading MathBlaster on your computer is the BEST option for a number of reasons! 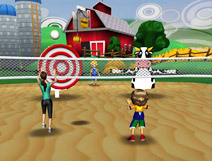 Do your kids enjoy playing games on the Nintendo DS™ or Nintendo Wii™? 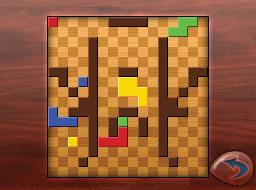 If so, we have the perfect additions to your game library! 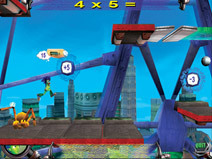 Check out the Math Blaster console games below. 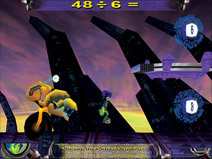 The ultimate intergalactic adventure has arrived on Nintendo DS™ with Math Blaster in the Prime Adventure! 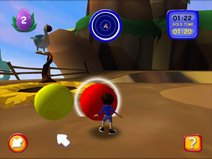 As kids race through the galaxy on a mission to defeat the Hive army, they’ll need all their adventuring instincts and brain power to save the universe. 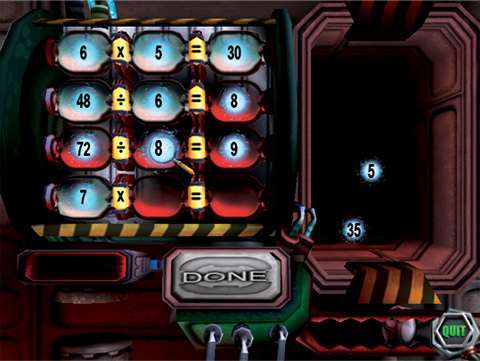 Packed with number puzzles and math mazes, Math Blaster teaches kids to solve problems quickly and accurately—the fun way! Plus, the competitive multiplayer mode means that kids can battle head-to-head with up to three friends at the same time. Designed for ages 9-13, Math Blaster in the Prime Adventure is the perfect tool to help every young adventurer become a math master! 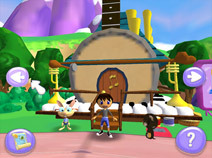 Join the JumpStart friends on an adventure designed for little hands and big imaginations! 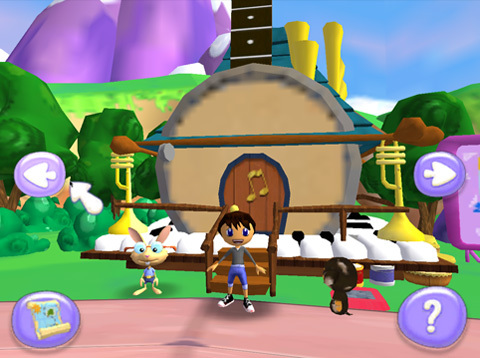 The first learning game for preschoolers ever offered on the Wii™, JumpStart Pet Rescue is packed with over 80 fun-filled lessons and activities designed for 3-6 year olds. 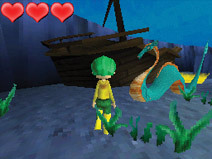 As players explore a jungle, beach, neighborhood, town and pet land on a mission to rescue lost pets, they practice over 75 essential skills including pre-reading, memory, listening and more. Along the way, kids can earn special virtual rewards, adopt and care for cuddly pets and design the perfect avatar. 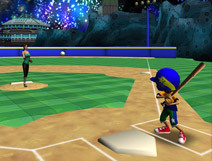 And, the JumpStart characters are on hand to guide kids every step of the way so that even the youngest players can finally enjoy the excitement of Wii™ gaming. Take off on an island adventure packed with excitement! 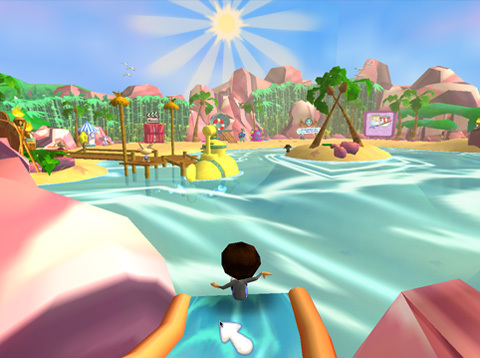 Designed for kids ages 5-9, JumpStart Escape from Adventure Island is the second title in the JumpStart series of adventure-based learning games for the Wii™. This action-packed game invites players to use their explorer skills and brain power to find a way to escape a mysterious island after a crash landing strands them there! 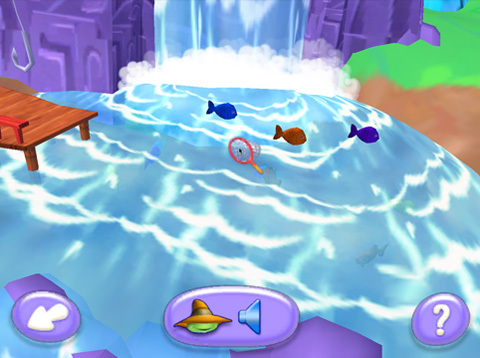 As players race to collect the pieces needed to repair their blimp, they’ll need to ward off the pesky fur balls known as Punk Punks and navigate 3D worlds both above and below the water. 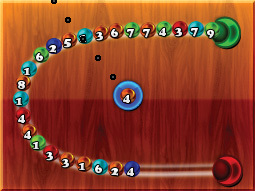 Along the way, players can practice over 150 math, reading and critical thinking skills—the fun way! For years, JumpStart has been creating the best learning games for kids. Now, with Get Moving Family Fitness, JumpStart is making fitness fun too! 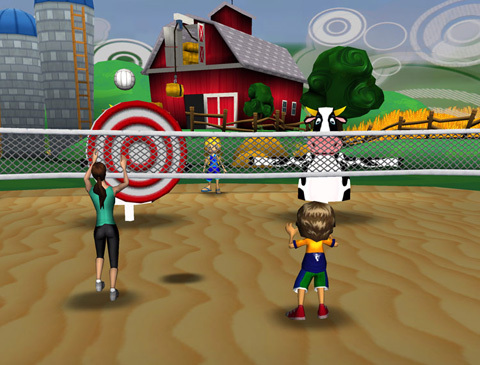 Discover the ultimate family sports game with fitness expert and mom of 4, Brooke Burke. 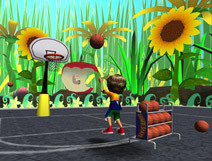 With more than 15 sports challenges in 11 exotic arenas, Get Moving is the fun, new way to keep your family active! 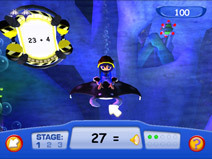 Dive into a deep sea adventure for your Nintendo DS™! 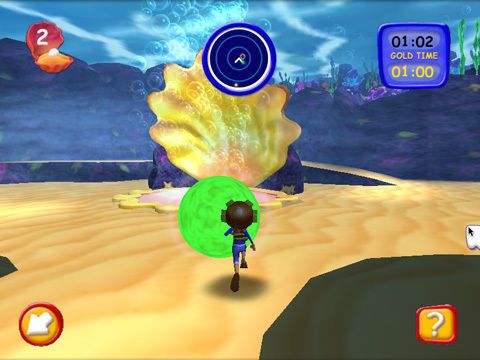 Designed for kids ages 5-8, JumpStart© Deep Sea Escape invites players to embark on an underwater adventure to rescue a stranded submarine. As players hunt for oxygen tanks to rescue the sub and escape, they’ll uncover hidden games, solve puzzles and defeat water monsters in an amazing aquatic world. Along the way, players can practice number recognition, critical thinking, spelling, addition, rounding, synonyms, antonyms, parts of speech and much more. JumpStart Deep Sea Escape is the fun, portable way to brush up on skills for school!